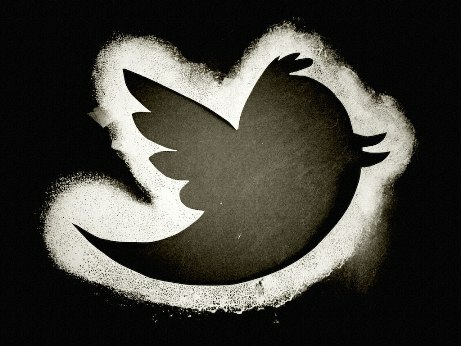 Twitter & Business: A Match Made In Heaven? Ask any business person what their preferred social media tool is, and you will expect them to say LinkedIn. But the truth could be somewhat different, according to a recent article by Mark Fidelman on Forbes. Fidelman proposes that, in fact, Twitter could be the go-to platform for sales people. After conducting a client sales and research process, he found that in most cases, the little blue bird outperformed LinkedIn marginally for sales. You can check out the results of the survey over at Forbes, and read some interesting insight from sales influencers. But the question is, how does this affect your business? And how can you make sure you are getting the most out of your company Twitter account? One of the major factors that makes Twitter a more valuable tool is that as a business, you have a much wider scope of delivery. Assuming your Tweets are unprotected (and what business does that?) then there is the potential for the entire Twitter user base to see what you are offering. You can follow whoever you want, whereas on LinkedIn you have to be actively connected to somebody to keep up to speed with their news. It’s also easier to play the Twitter game. I’m no fan of #hashtags, but there’s no doubting their ability to show you who is saying what about any given subject. It’s also easier and quicker to engage with people than it is to LinkedIn. And I’m not talking about ‘brand engagement’ – I’m talking about an active sales process that can help you close a deal. Well, firstly you should see where the majority of your social sales are coming from. If it’s working on one particular platform, you would be shooting yourself in the foot if you neglected it and tried to go with the stats. And it’s also worth pointing out that these survey results may not be applicable to your business, anyway. however, it does beg the question: are you throwing too much money into things that aren’t working? If so, you are going to have to think about running a tighter ship. Make sure your social media team are up to speed and trained to identify the areas that need either a) work or b) casting off. The sooner you stop using square blocks in round holes, the more time you will have to make the most out of your genuine opportunities. If you need some help giving them what they need, get some expert help. There are a few ways of doing this. You could either hire an expert, or send staff off to a course, for example. However, with online training programs taking off in a big way, I would make the most of those. A good example is the social media training at Simplilearn. Your employees will learn about all the different social media channels and how to make the most of them. It’s important to have this spread of knowledge, because, survey results or no, your business may have better results with something other than Twitter. Take a look and let us know what you think. Until next time!